Let's be real. Chilly weather can be the pits. It's inconvenient and dreary and keeps us inside. Cold and rainy days aren't just a bummer for you. Your pets can't stand them either. They like to run free, sniff the fresh air and roll in the grass — all things that become harder to do when the weather takes a dive. 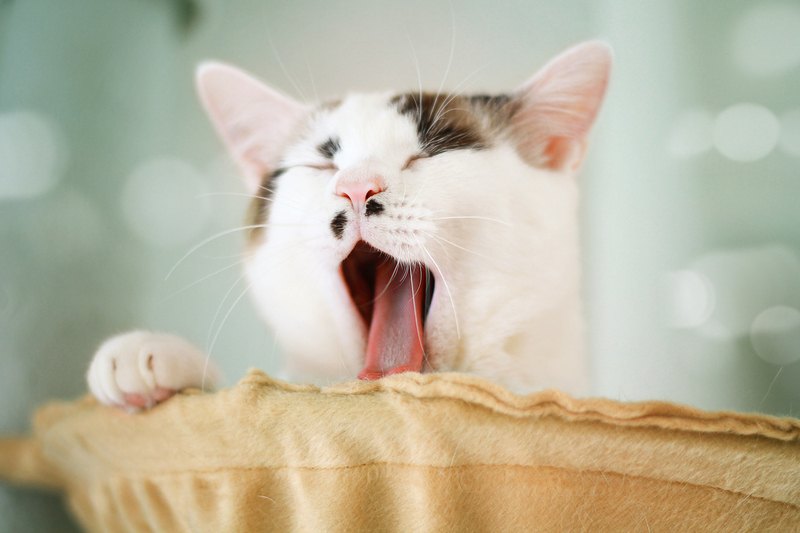 Now that summer is almost over and fall and winter lurk right around the corner, it's time to be proactive and figure out some easy home improvements that will greatly improve your pet's quality of life during the colder months. 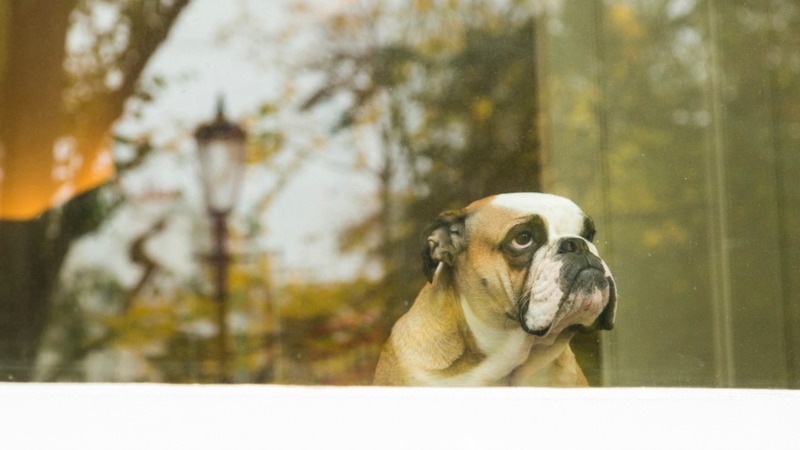 Help alleviate their boredom and keep your pets mentally and physically stimulated with these easy projects and products that keep them happy, even when they're stuck inside. 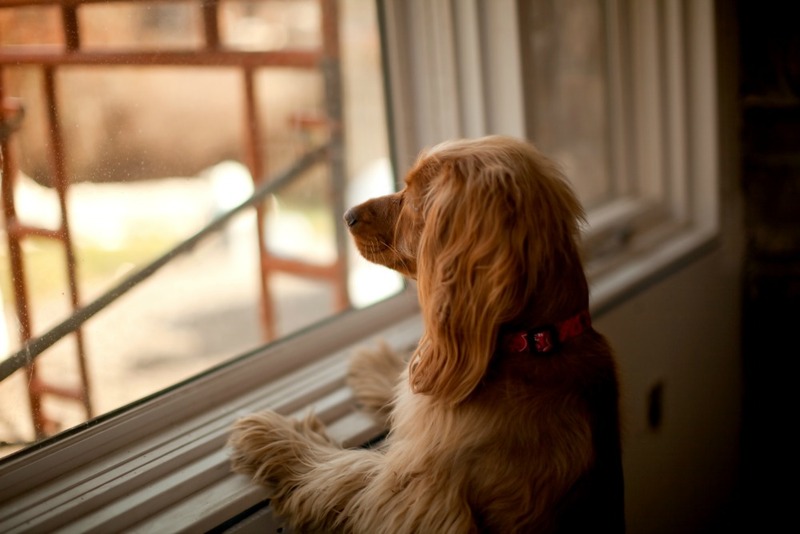 It gets stuffy indoors, especially for your pets who are home a lot more than their humans. Freshen up the air indoors with a Canopy air filter so they won't feel so trapped. These filters are my absolute favorite because they make the air in our home clean and fresh — something both humans and pets benefit from. Your animals love to nap in the warm sun, so make sure that's possible, even if they can't get outside. Open the curtains or blinds, and clear a spot on the floor where the sun shines in. Your dog or cat will happily nap in that spot all day — or at least until the sun moves. Climbing trees might be out, but that doesn't have to mean all climbing is outlawed. 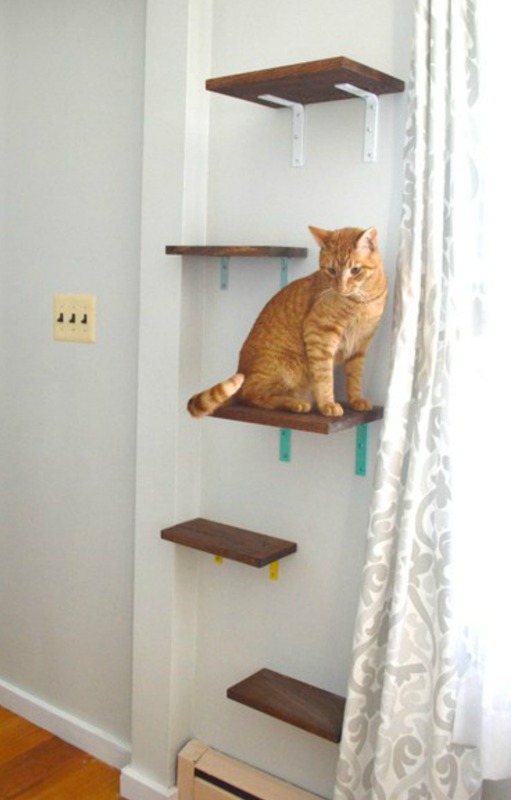 Install floating shelves to give your cats a place to climb without having to find a place in your decor for giant cat towers. Follow the instructions from Plaster and Disaster to ensure the shelves are safe enough for your beloved. 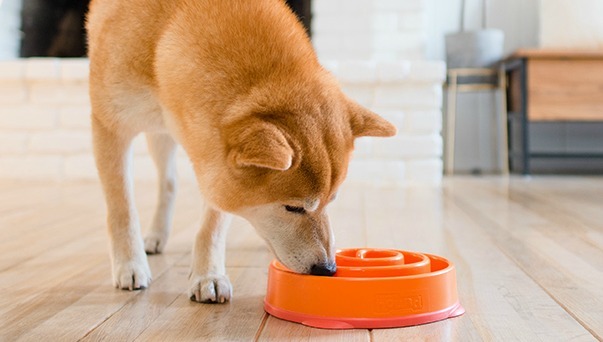 Interactive feeders are often used to encourage dogs to slow down when eating, but when they're stuck inside because of awful weather, these feeders become even more useful. If they're busy thinking, they won't be bored! Bonus: Since it also makes them slow down, it keeps them from packing on the pounds when they aren't playing outside as often. Being stuck indoors shouldn't mean your animals — especially your cats — should have to go without rubbing their faces in their favorite plants. 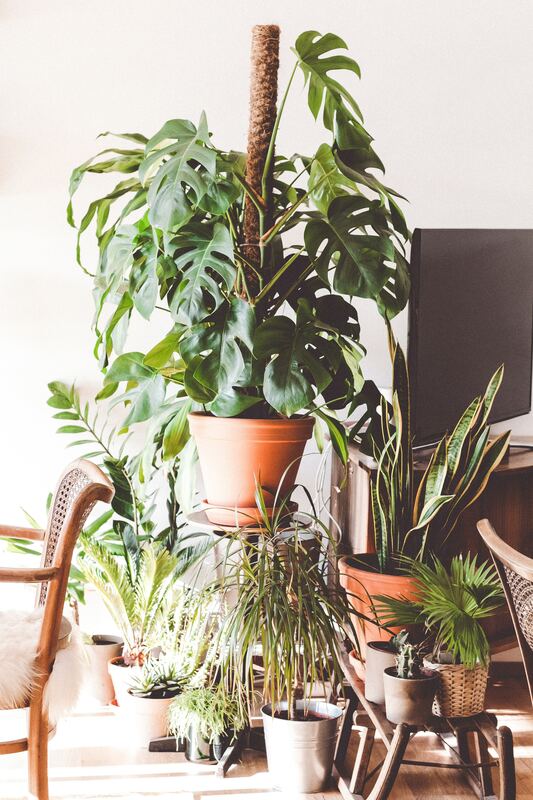 Plant an indoor garden (full of animal-safe plants, of course), that your animals can spend their time rolling around in. Just be ready to sweep up some dirt… messes will probably be made. 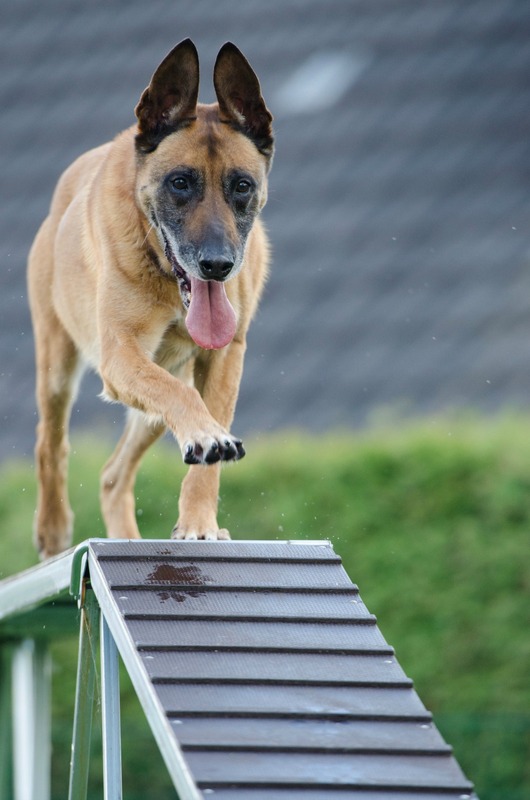 Put the time you're stuck indoors to good use and work on your pup's agility training! Build an agility course in your basement, garage or even in the middle of your living room. Your dog will get a great workout — and you'll both have a blast. Cats will love getting in on the action too! 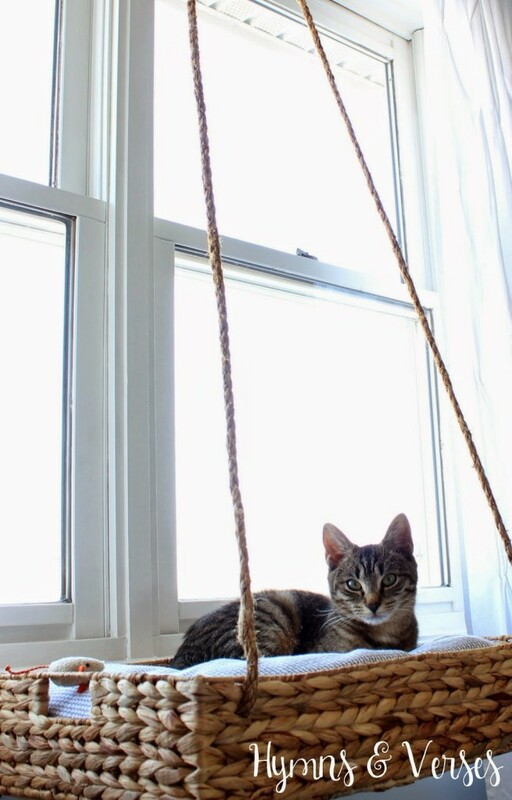 Your cat (or very small dog) will feel like they're actually outside when they take a snooze in this amazing DIY window perch. It's comfy for them and cute enough that you won't mind putting it in your living room. 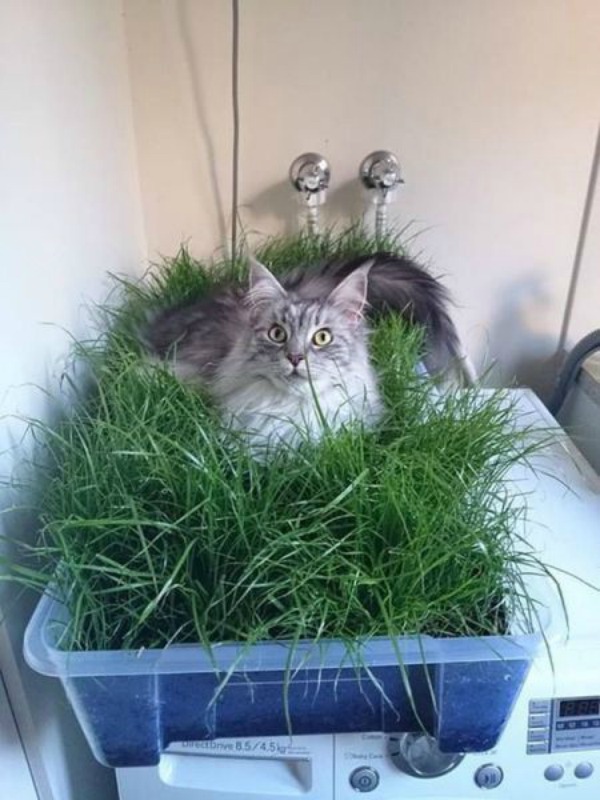 With just a large storage bin, some soil and grass seed, your animals can still take a siesta in the grass. Keep it near a window to help it grow — and to let the grass warm up just like it would outside. Trust me, they'll have the best nap ever.